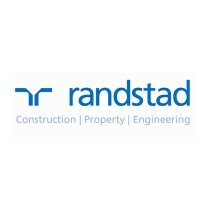 Randstad is a multinational HR consulting company headquartered in Diemen, Netherlands. They provide staffing, outsourcing, and workforce solutions in various fields like finance, engineering, healthcare, and HR. The company was founded by Frits Goldschmeding in Netherlands. They have been providing quality services to small and big businesses all over the world since 1960. Randstad has more than 4,000 branches in 39 countries around the world. Also, the company employs over 29,000 professionals who serve clients with utmost care and dedication. Both internal and outsourced employees can gain many work benefits including 401(k) retirement plans and health coverage. They may also become entitled to other benefits and perks through continued employment. Based on reviews posted online, many employees believe that the company is a good employer. They praise the company for making its hiring process hassle-free and easy. It isn’t surprising that many suggest Randstad to those seeking employment. Applicants for all positions need to be at least 18 years old, with a college or high school diploma (or equivalent). Experience is also necessary for most positions. Recruiter: He acts as the advisor to the hiring managers of client companies, giving them insights on proper sourcing strategies. A recruiter proactively collects market intelligence and shares it with hiring managers and the internal team. Likewise, he regularly assesses the performance scorecard to make sure that all KPIs and SLAs are attained. Staffing Manager: A staffing manager offers temporary staffing solutions and services to clients. He recruits, evaluates, and provides qualified talents to fulfill all recruitment needs. A staffing manager deals with new clients each day, and solves the problems of all existing clients to fully understand their employment needs. HR Support Specialist: An HR support specialist manages all inbound calls and completes them in a timely way. He uses communication “scripts” if he has different topics to handle. He identifies customer needs, clarifies information, performs research on each issue, and provides the best solutions or alternatives. He also keeps a record of each conversation in company’s benefits portal. Employment Specialist: An employment specialist manages all engagement activities between candidates and hiring managers. He reviews the candidates and supervises the screening, pre-qualification, and presentation processes. His job involves ensuring compliance to hiring the process. He also handles system administration, interview arrangement, and meeting management support. He manages letter and onboarding support events and collaborates on some special projects. Sales Consultant: A sales consultant builds, manages, qualifies, and maintains a record of prospects and clients that match the opportunities within the market. He offers recruitment services through in-person visits and phone calls, fostering an advice-giving relationship and increased business with clients. A sales consultant efficiently recruits, interviews, retains, teaches, and develops talent. Market Leader: A market leader promotes the branch’s lucrative growth through local sales, which consistently increases the market share of the company. He supervises a group of staffing professionals in a branch. Also, he works closely with their client on-site support groups to ensure successful recruitment. He manages client relationships and ensures team development and performance. Talent Advisor: A talent advisor oversees full cycle staffing for various purposes in the financial services and banking industry. He uses a consultative approach when dealing with candidates and hiring managers. Likewise, a talent advisor tries to build good relationships with everybody. His job’s nature requires him to be well-versed in various job descriptions and industries. Sourcing Specialist: A sourcing specialist supports the sourcing and fulfillment of assigned requisitions. He must be resourceful, process driven, consultative, and good at building relationships with different people. He must have industry knowledge so he can provide the best results for both clients and candidates. IT Recruiter: His job includes participating in requisition reviews or intake calls. He’s familiar with all descriptions for software development jobs and has strong IT industry knowledge. An IT recruiter manages the production and advertising of job postings. Also, he’s in charge of candidate evaluations and selection. Screener: He proactively reviews the candidates on behalf of a client to select those with the greatest potential. He calls the applicants to prescreen and find out if they should be scheduled to talk to a hiring manager and continue their application. A screener will analyze all target locations to make sure the public is aware of the job openings. Interested applicants should visit the company website to learn about the vacant positions available in all branches. The company adds new or revised postings on a regular basis. So, aspirants must vigilantly watch for opportunities suitable for their expertise. Before they can submit their application, candidates should create a user account through the company website. Each user account has a dashboard feature that allows continuous monitoring of pending applications. When filling out the online hiring sheet, job seekers should make sure that the entire content of their form is correct. It must have similar content to their resume. Checking their documents for errors is necessary to avoid rejection. Also, applicants must update their resume before uploading it using their personal account. Those planning to use an old or existing resume should not forget to review it and correct all outdated sections. The company will contact qualified applicants and inform them about the interview after one to two weeks. Candidates should aim to impress their interviewers. Wearing casual business clothing and coming on time for the interview is important. The company has a great work culture. Randstad believes in integrity, insights, and inclusion as seen in their diverse workplace. They help their employees grow and thrive in the best way they can. Their employees treat each other like family. Recently, the company announced the promotion of its hardworking employees to expand its executive leadership group. This is crucial for the company’s operations and market growth throughout the coming years. Randstad is known for being an equal-opportunity employer. They give great opportunities for everybody regardless of gender, race, sexual orientation, religion, age, and disability. Also, the company is recognized for providing quality services for their client’s recruitment needs. The company loves giving back to local communities. Their employees contribute in many ways and are always inspired to help the company fulfill its charitable mission. The company has even recently partnered with Voluntary Service Overseas (VSO). 1 How old do you have to be to work at Randstad?